Hopkinsville High School is 57 years old and is in need of serious improvements. The district says the building is rated a category 5 - 5 being the worst. The district is asking for millions of dollars over social media. 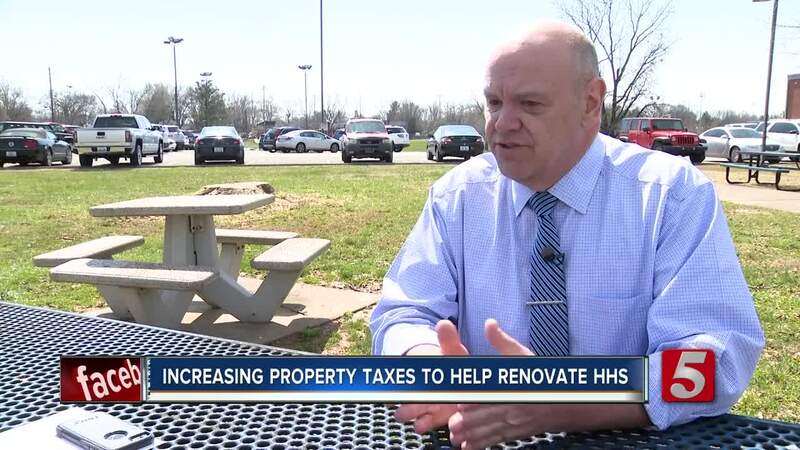 HOPKINSVILLE, Tenn. (WTVF) — Hopkinsville High School is 57 years old and is in need of serious improvements. The district says the building is rated a category 5 - 5 being the worst. The district is asking for millions of dollars over social media. At the end of February, the board of education approved a nickel tax that would go towards replacing Hopkinsville HS. Their chief operations officer, Brad Hawkins, explains that the cost of a new building is about 41 million dollars. It's a 5.5 cent tax increase on every 100 dollars worth of property value so for $100,00 worth of property you will see an increase of $55 annually. Nichole Eastman is a committee member of the organization "Citizens rights to vote on tax increases." As a parent of three boys in the Christian County School district, she's upset that several of their school buildings are falling apart and it took this long to do something about it. Although the board approved the tax, there is a 45-day window to recall the tax. Eastman is spearheading the petition effort. They need to get about 2,200 signatures by April 8. "No one is against the tax," said Eastman, "We just want the right to vote on it." If they are able to get enough signatures, the nickel tax will go to ballot. The board can then decide to put it in the November Election or have a special election on it. Eastman told us their office is located at 3800 Lafayette road. They are open from 8 a.m. to 5 p.m.